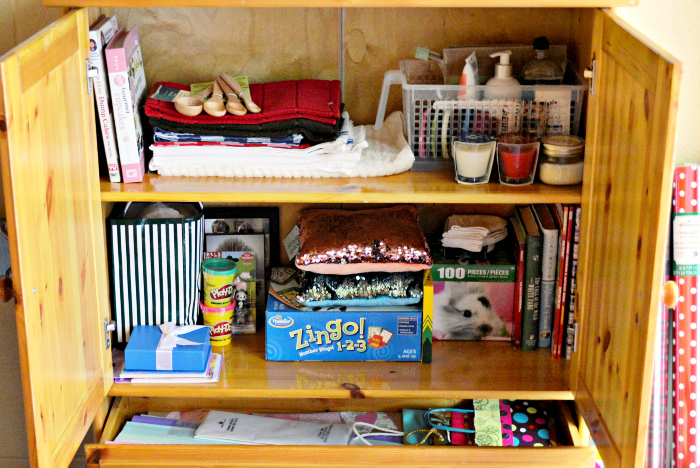 Where are all your nail polishes? 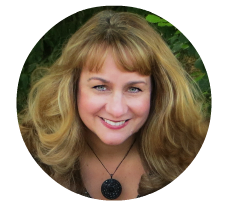 Are they stuffed in a drawer…floating around the bottom of your purse…stashed under the bathroom sink??? 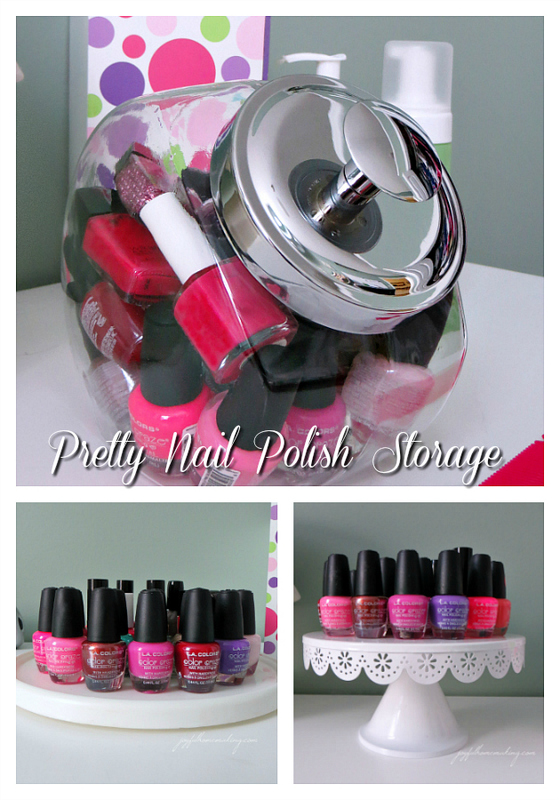 How about a few pretty or functional ideas on where to stash your nail polish! 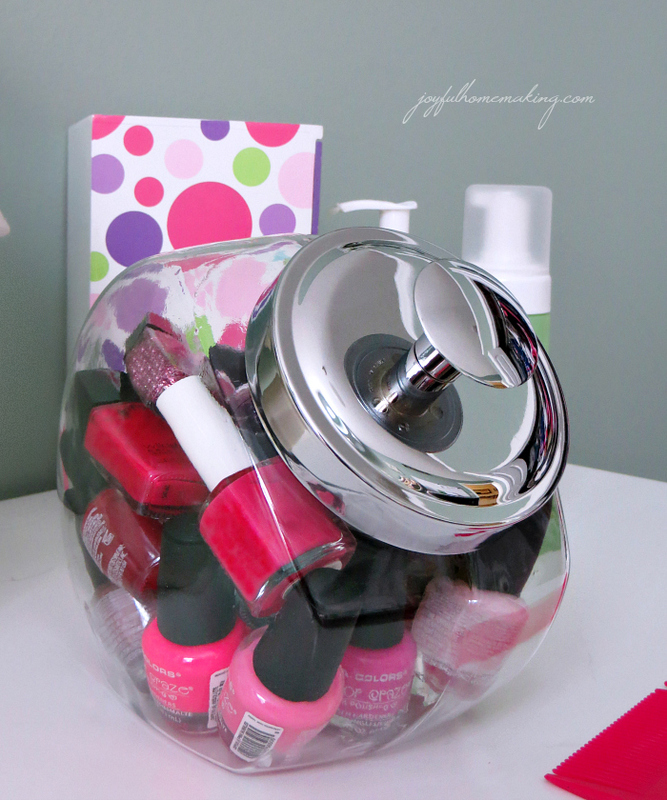 I’ve seen people use a penny candy jar for their nail polish, which you can pick up at many discount stores. I picked mine up at Target, and I think it looks so pretty and colorful filled with mine and my daughters nail polishes! 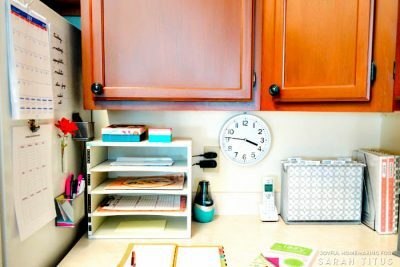 Another pretty idea for nail polish storage is a feminine looking cake stand, or a pretty two tier cookie or appetizer tray. 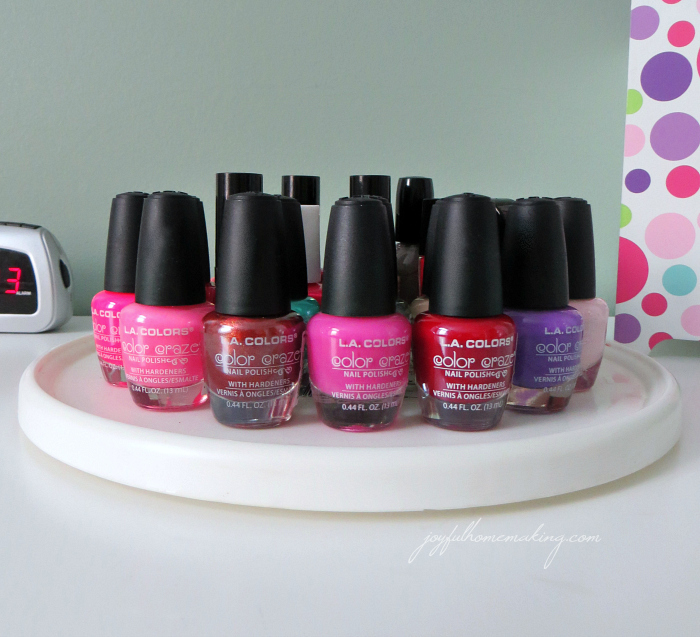 A practical AND functional idea is to use a turntable for all those polishes. Then it’s easy to turn it around, see your choices, and make your selections. I used to really dislike the hassle of removing nail polish, especially when it didn’t last very long without chipping. Then I found the jars of remover that you can just insert your fingernail, twist it around, and the nail polish comes right off! LUV! 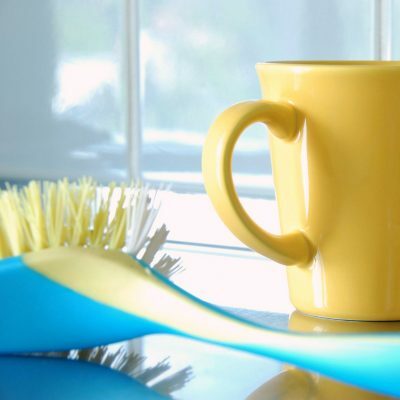 Here are a few products that make wearing and removing nail polish a bit easier! I love the cookie jar idea! I can’t wait to show my daughter because she has nail polish everywhere. Thanks for the cute ideas and sharing!